It’s almost time for another Blade & Soul update — complete with an all-new 6-player Heroic Dungeon. 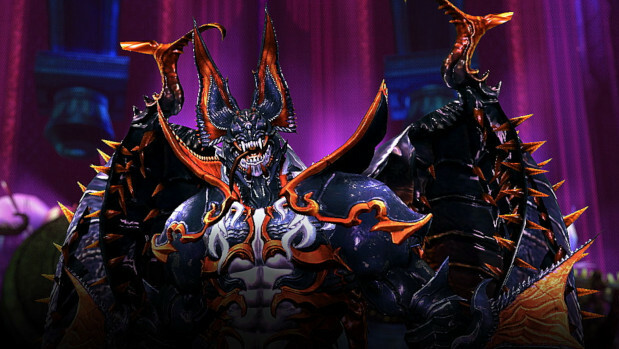 The Prince of Darkness is set to hit on February 6 and will add the Brood Chamber dungeon, a level 55 dungeon available in both Normal and Hard mode. This dungeon continues after the events at the Lightborn Altar and the disappearance of Prince Subin, Dowager Tayhu, and Ryu. General Ang Hondu is frantically searching for them, and after weeks of doing so has news about the prince’s location. Help locate the prince, uncover the mysteries of the Brood Chamber, and — of course — earn sweet, sweet rewards. Of course, the new dungeon is not all that’s arriving with the new update. It’s time to celebrate love too — with the return of the Blade & Soulmate event. Complete event dungeons and earn Lovestruck Coins. Turn in those coins and get all kinds of fun and festive goodies. No, they haven’t laid out information on all the goodies. That will come at a later date. Although you can get a short rundown via the announcement post on the Blade & Soul site. QuintLyn is a long-time lover of all things video game related will happily talk about them to anyone that will listen. She began writing about games for various hobby sites a little over ten years ago and has taken on various roles in the games community. For the past five years she's been a writer at Gamebreaker TV.